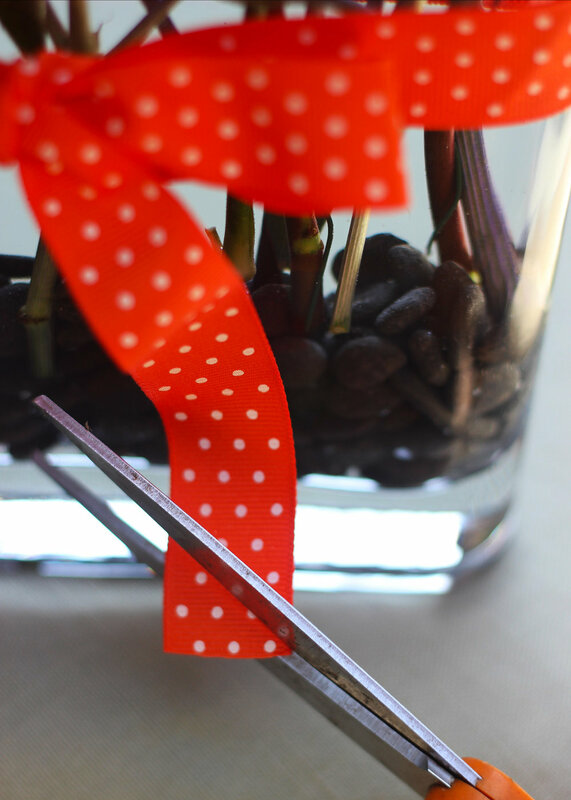 The vase is perfect for layered arrangements and because it is so thin you only need a small amount of flowers in it. You can buy a vase like this (click here). For instructions on wiring the roses see:http://www.floristinyou.com/prep So if you have your vase, stones, ribbon and flowers, let's begin. Put 2 handfuls of small black stones in the bottom of a vase. Pour water to 2 inches below the top. 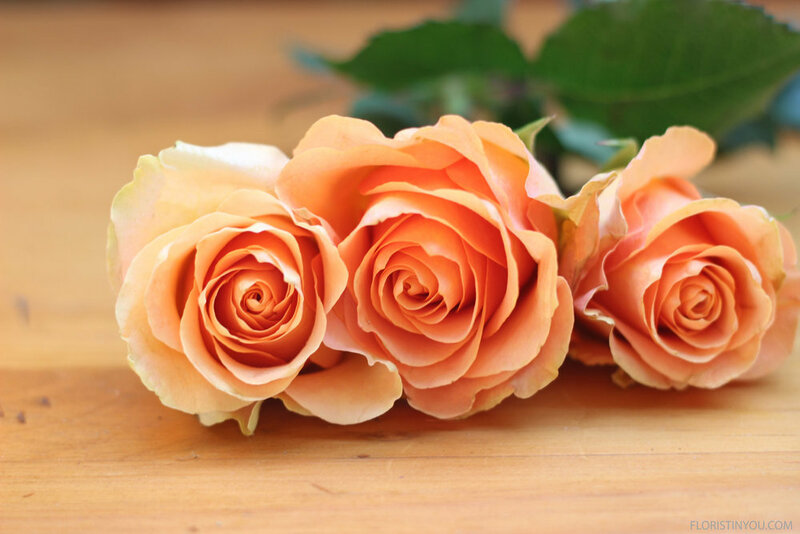 Use 6 large orange roses. Wire them with one third piece of 18 gauge floral wire. And Amethyst Sea Holly. Love that purple blue color. You will want them to have this height relationshiop to each other in the arrangment. Put in a row of Sea Holly. Make sure the stems go straight down. Next put in a row of carnations. Put in a row of roses. Tie ribbon tight in a knot then a bow. Cut edges at a 45 degree angle.